Cape Cod & Hyannis @ Randolph, Ma. 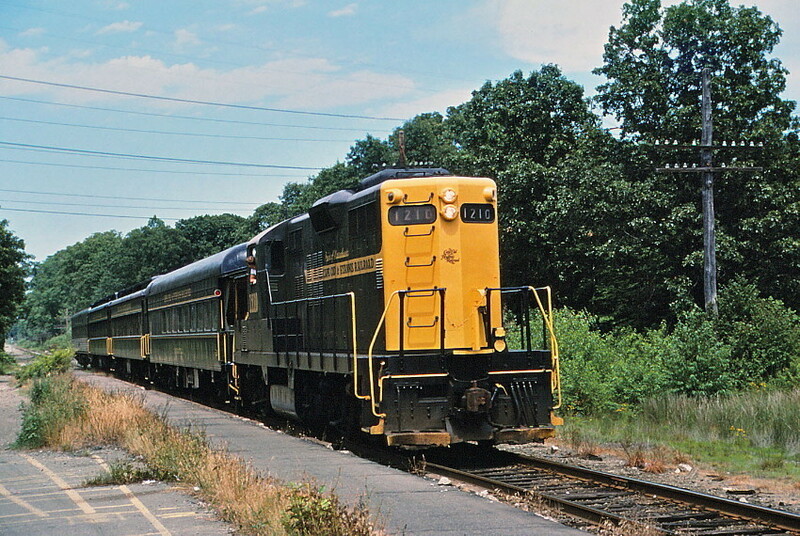 1210, an EMD GP-9 (ex-New Haven, Penn Central), leads its train thru Randolph. Photographed by Bruce Macdonald, July 21, 1986. Added to the photo archive by Bruce Macdonald, August 5, 2018.